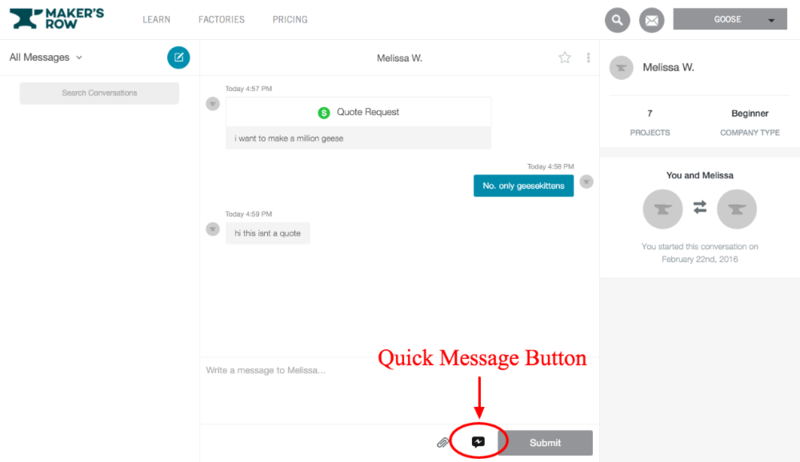 The button circled below will give you access to quick messages. 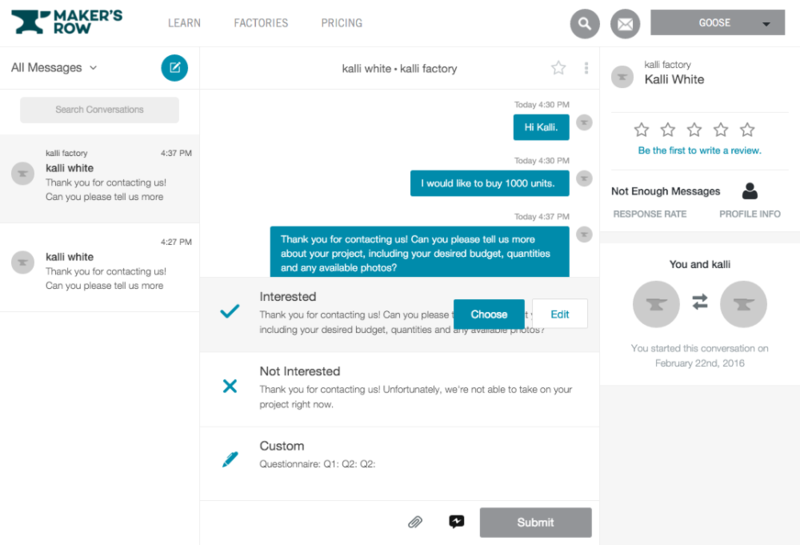 This allows factories to create pre-written responses to help make the messaging process smoother. When you click the button, you will be prompted to select one of three options. The first two are pre-written responses by us to get you started. However, feel free to edit both templates to fit your needs. 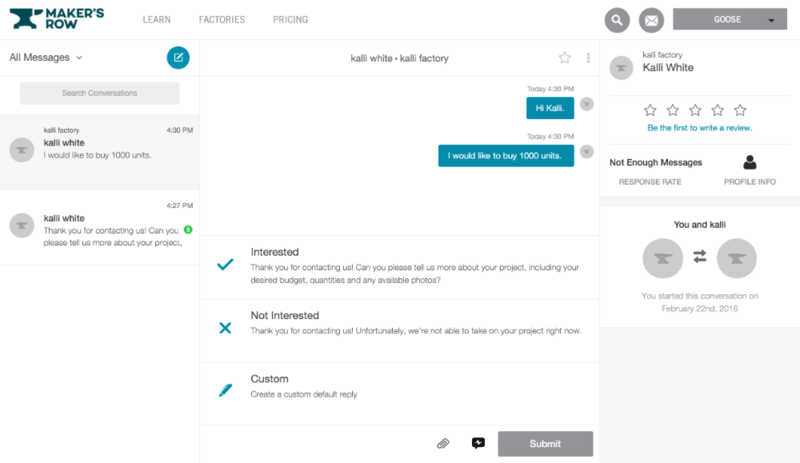 Along with this, the third option, Custom, allows you to create a template on your own. Make it whatever you would like. 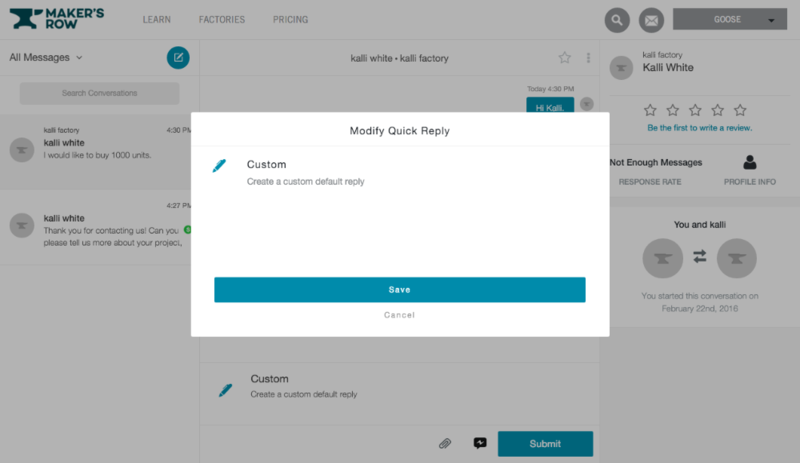 Then simply hit choose and click send to respond to your messages with your template.